The socially-conscious website ran a puff piece on the chicken chain and strangely omitted its long animus towards the LGBT community. For a website that prides itself on highlighting the voices and experiences of all people, BuzzFeed made a strange omission in a Friday post called, "15 Facts About Chick-fil-A That'll Make You Say, 'Woah, That's Crazy." The 15 facts mostly consist of where the chain's restaurants are located and details on their pickles, fries, and chicken. 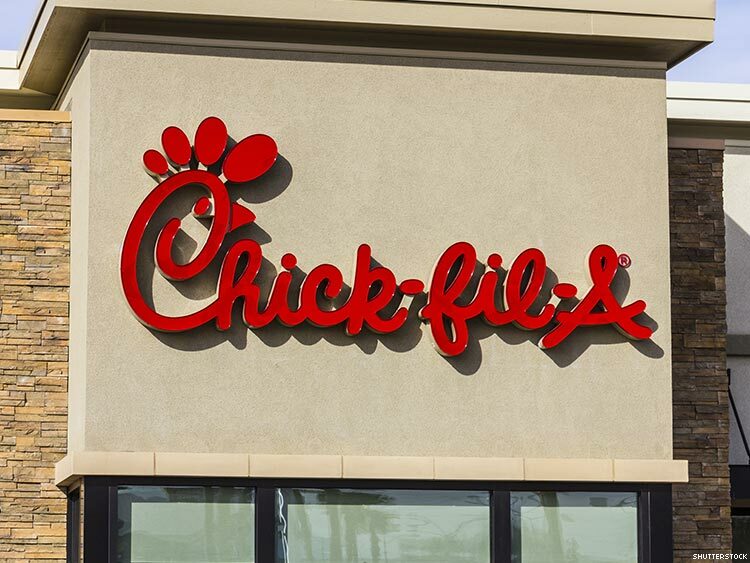 There is a mention of the corporate theology that runs through Chick-fil-A, which includes a God-themed mission statement and a policy to close all stores on Sunday. Oddly, writer Jon-Michael Poff didn't mention one word about how the Georgia-based chain got into hot water in 2012 when chairman/CEO Dan Cathy admitted his company opposes marriage equality and said gay people are "arrogant" and shake their fists at God. It was also discovered that the company donated millions to anti-LGBT causes. But even after intense blowback to Cathy's statements, the company has continued to fund hate. As exposed this summer by ThinkProgress, Chick-fil-A's "charitable" foundation gave over $1 million to anti-LGBT organizations in 2015, the date of their most recent tax filings. Organizations like the Paul Anderson Youth Home — which espouse propaganda like “sexual, physical, and mental abuse of children, mostly in the alleged ‘safety’ of their own homes has produced all kinds of evil throughout the culture to include the explosion of homosexuality in the last century” — have received huge cash infusions from Chick-fil-A. The company also offers zero benefits or protections to LGBT employees; the company received a 0 on the Human Rights Campaign's corporate equality index. Seems worthy of a mention, no?